With Life Insurance Awareness Month now underway, advisors can look forward to an advertising and marketing blitz from the industry’s behemoths. 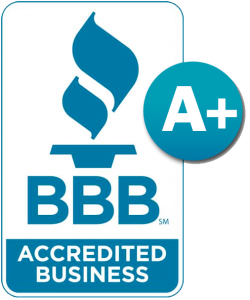 The aim: to promote protection products to the nation’s uninformed, befuddled, uninsured and underinsured consumers. The product manufacturers have their work cut out. According to a new survey, few Americans look to life insurance to fund living expenses beyond replacing income of a departed breadwinner or funding funeral expenses. And 43 percent believe the product to be too costly. So reports Northwestern Mutual in its annual “2015 Planning & Progress study,” an online survey of 2,010 U.S. adults conducted in January. The research explores Americans’ attitudes and behaviors toward money, goal-setting and financial priorities. 43 percent say that life insurance is too expensive. 31 percent say that coverage is a low priority compared to other expenses. 14 percent say they never thought about life insurance and don’t know much about it. 12 percent don’t know where to start. 8 percent note they don’t have time to research/learn about/explore their options. 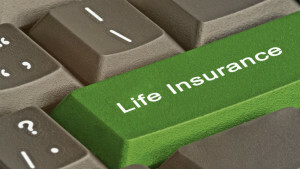 6 percent say that life insurance is too complicated. 5 percent say the product is too stressful. Among respondents who say they don’t know much about life insurance or haven’t given the product a moment’s thought, millennials are most numerous at 28 percent. Smaller percentages of Gen Xers (16 percent), boomers (6 percent) and older seniors or “matures” (8 percent) also fall into this category. Are you interested in learning more about how Life Insurance could be the perfect product for your portfolio to help you reach your goals? If so, please consider attending one of our upcoming seminars! We are conducting an informational workshop that covers many topics related to your retirement. There will be nothing sold at this workshop. Our speaker, Jean A. Dorrell, a Certified Estate Planner, is a Published Author and has been Nationally Interviewed on CNBC’s Squawk on the Street, Yahoo! Finance, Kiplinger’s and Fox Business Daily News, on topics pertaining to retirees. Jean has appeared on the “Money Watch” segment on Fox 35 over 30 times and is known as The Smart Money Gal. Jean will inform you about recent changes in Federal and State laws which allow the government to legally tax 30 percent of your IRAs. This is a must seminar for Retirees who have previously planned to live on their investment income, annuities and IRAs. Planning needs to begin NOW to prepare for tax increases, especially for taxpayers and Trust owners who will be in the top tax brackets with just $12,150 in annual income! 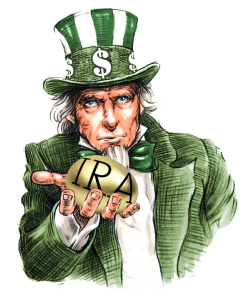 IRA distributions are exempt from the 3.8% surtax on net investment income, but taxable distributions from these accounts can push income over the threshold amounts causing other investment income to be subject to the tax, such as annuity withdrawals and stock dividends. Find out how Roth conversions are more valuable as a means to eliminate future taxable income and eliminate future RMDs from traditional IRAs before higher tax rates become effective. Trusts are hit hard – The 3.8% surtax kicks in at much lower income levels for trusts. The threshold for trusts and estates is the amount at which the top trust tax bracket takes effect. This amount in 2015 is $12,150. If you are leaving assets to your family through a TRUST you must attend to learn how to avoid the Trust tax. Own Life Insurance policies? Learn how to Live on your life insurance! Learn the little known tax loophole no one is talking about – How to NOT take your RMDs at 70½ when you don’t WANT or NEED the money! Due to the popularity of this workshop, available seating is limited and reservations are required. If married, we ask that both spouses attend. Please respond immediately to guarantee a seat. OUR WORKSHOPS ALWAYS FILL UP FAST, DON’T MISS IT! PS: The last workshop was full. It could change your life! The presenter, speaker and sponsor of this information is a licensed, independent Insurance agent. The presenter, speaker and sponsor of this information (Invitation) as well as the information presented at the seminar is not related to, endorsed by, nor connected with and not approved by any Government Agency or organization. Although the seminar is providing information of value for consumers, the seminar is a solicitation for Insurance products such as Medicare supplements, Long Term Care Insurance, Life Insurance, & Annuities. Please complete the form below. Once we receive your information we will contact you to confirm your reservation.